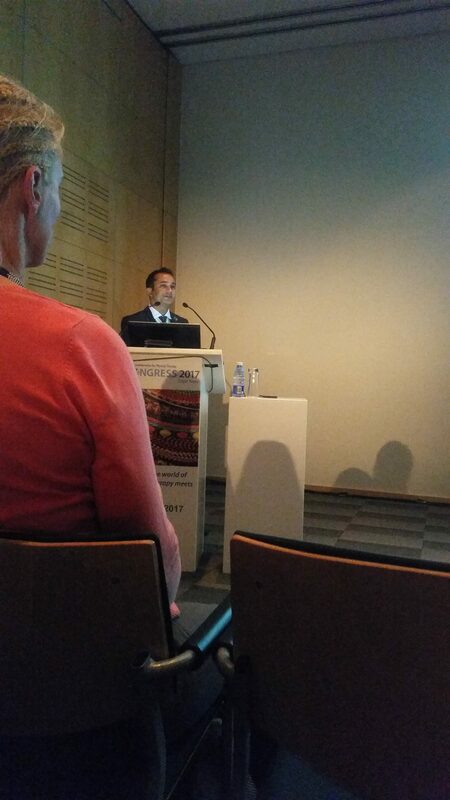 It was an excellent opportunity to present at a how to… seminar on “Outcome Measures” at the World Confederation for Physical Therapy (WCPT) Congress 2017. Outcome measures are important for assessment in clinical practice and research. Patient-reported outcome measures (PROMs) have now become very common for the assessment of a variety of constructs such as intensity of pain, disability, or physical function, psychological function, sleep quality and quality of life. It is also useful to track improvement after an intervention using global rating of change measure. These PROMs once developed and before it can be used in clinical practice or research, psychometric properties or clinimetric properties should be assessed. It includes validity, reliability and responsiveness of the measure. Read COSMIN checklist manual for details, which provides terminologies and their definition after consensus among the experts. It is now commonly being accepted and cited in research work. In order to use an outcome measure that is developed in one language, it should first be translated using standard recommended guidelines (e.g., Beaton, 2000). The steps include, forward translations, synthesis, backward translations, expert review, developer’s review, and pre-testing. It may require significant cultural modification when it is intended to be used in a newer culture. When the translation process is complete, the validity, reliability and responsiveness of these measures should be assessed which will then give us information if the PROMs in new language is a valid tool to use. Once after the assessment of psychometric properties, and found that the measure is valid, reliable and responsive, they can finally be used for clinical practice, research or both. Assessment of psychometric properties of outcome measures such as minimum detectable change (MDC) and minimum important change (MIC) are valuable tools that describes the usefulness of a measure. For example, knowledge of MDC is important because value of MDC gives us information about the value of a measure that is above measurement error. For example, if the MDC of a 11-point Numerical Pain Rating Scale (NPRS) where scores range from 0 – 10 (0 = No pain and 10 = Maximum Pain) is equal to 1, it means that any difference of value of NRS less than 1 can be accounted for the error of measurement. Likewise, if the value of MIC = 2 for NPRS, it means that the NPRS score 2 or more is clinically important for the patients and that this change in the rating of NPRS is clinically meaningful. While using an outcome measure in a clinical trial for a specific health condition, we should consider for the core outcome sets proposed for that health condition. For example, there are many papers either proposing or establishing the core outcome sets for assessment of various health-related conditions, such as low back pain, chronic pain, orthodontic trials, peritoneal dialysis, shoulder pain, squamous cell carcinoma, chronic rhinosinusitis, burn care, mild to moderate dementia, inflammatory bowel disease, hemorrhoidal disease, acne, and https://www.ncbi.nlm.nih.gov/pubmed/28409213. If your area of clinical practice is not one of these, then you can easily find it in pubmed. You can find the slides of the presentation in slideshare here.